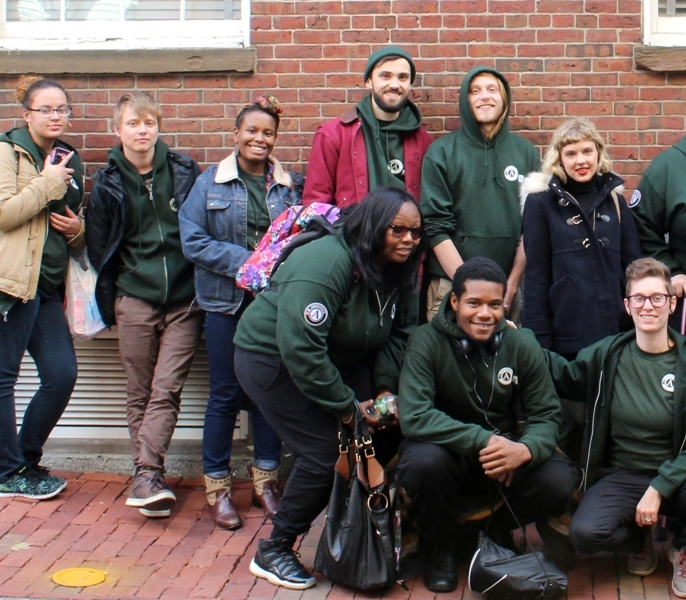 DIAL/SELF AmeriCorps is now accepting applications for AmeriCorps Members for the 2019-2020 service year. Positions are filling up. Interested candidates should apply as soon as possible for a higher chance of being matched with the program. Include two references using THIS REFERENCE FORM. DIAL/SELF AmeriCorps Members build meaningful relationships with young people and support them in developing skills, connectedness, and confidence in their learning. They create opportunities for young people to set meaningful goals, drive their own solutions, make decisions, fail, learn and grow. Established in 1996, DIAL/SELF AmeriCorps partners with area schools and youth-serving agencies to create innovative full-time service opportunities throughout the Pioneer Valley of Western Massachusetts. We serve a geographic area that spans from Greenfield to Springfield, from rural to urban settings. For 10 months each academic year, DIAL/SELF AmeriCorps Members support local youth through mentoring, creative activities, experiential learning and positive youth development. They use a student-centered approach to encourage young people to develop autonomy, belonging, and confidence in themselves as learners. Members are trained to use the conversational skills of "motivational interviewing" to support young people in setting goals and activating the resources they can use to acheive them. Weekly workshops in areas such as youth work best practices, multiple intelligences, integrating the arts into learning environments, motivational interviewing, conflict resolution, positive youth development, equity and inclusion, civic engagement, group facilitation, healing-centered engagement, life after AmeriCorps and asset-based community development. Earn a compensation package of up to $20,295, including personal/sick days. This includes a stipend of up to $14,200 and Segal Education Award of up to $6,095. The Education Award can be used to pay for pre-existing student loans or future education. Members receive free health care and child care as needed. Members can opt to forebear their student loan repayment during their service. Any interest that accrues during that 10 months will be paid by the National Service Trust. Gain practical experience and build leadership skills that transfer across careers and vocations, particularly those related to education, youth work, the arts, equity & inclusion, nonprofits, social work and community work. Make connections that lead to future opportunities in the region and beyond. Check out these testimonials from former DIAL/SELF AmeriCorps members. Participate in a supportive learning community that challenges Members to build on their strengths and put their values into practice. DIAL/SELF encourages people of all backgrounds and social identities to apply! DIAL/SELF makes reasonable accommodations for service and interviews. 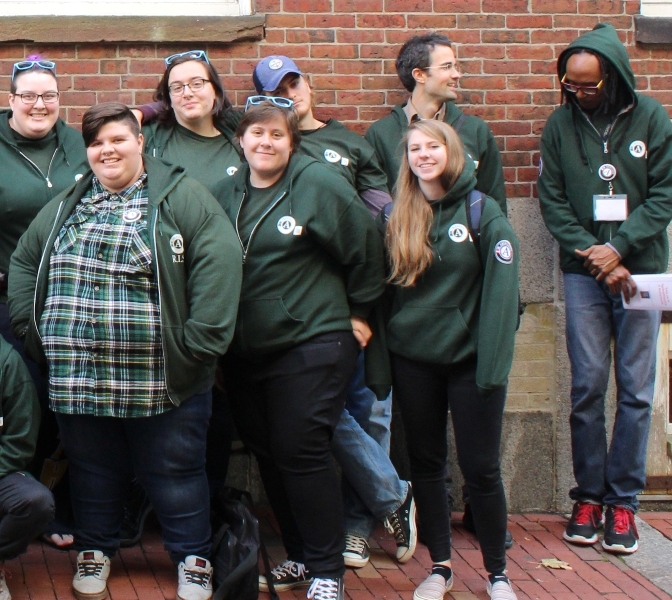 DIAL/SELF AmeriCorps is now accepting applications for AmeriCorps Members for the 2019-2020 service year. Click here to fill out the application. Include two references using THIS REFERENCE FORM. The term begins August 22rd, 2019 and runs through June 22th, 2020. Special Note: DIAL/SELF AmeriCorps could not exist without our incredible network of partner schools and organizations throughout the Pioneer Valley. Current and Former Site Partners Include: Amherst Boys & Girls Club, Amherst Middle School, Amherst High School, Athol-Royalston School District, Baystate-Springfield Educational Partnership, Big Brothers/Big Sisters of Franklin and Hampshire Counties, The Brick House Community Resource Center, The Children's Study Home, Community Action Youth Programs, Community Coalition for Teens, Community Music School of Springfield, Connections of Holyoke, Enchanted Circle Theater, Enlace de Familias, DIAL/SELF Youth & Community Servicies, Four Rivers Public Charter School, Franklin-Hampshire Regional Employment Board, Gandara Center, GLSEN Western MA, Gill-Montague School Department, Greenfield YMCA, Greenfield High School, Greenfield Recreation Department and Youth Center, Hampshire Educational Collaborative, Hilltown Cooperative Charter School, Holyoke High School, Martin Luther King Jr. Community Center, Montague Elementary, Montague Catholic Social Ministries, North Star Self-Directed Learning for Teens, Opportunity Academy @ Holyoke Public Schools, Paulo Freire Social Justice Charter School, Pioneer Valley Habitat for Humanity, Safe Schools Safe Streets Coalition, Project Coach, ServiceNet, Smith Vocational and Agricultural High School, Tapestry Health Systems, Treehouse Community, United Arc, Upward Bound - Northfield Mount Hermon, Young Entrepreneurs' Society and Youth Action Coalition. 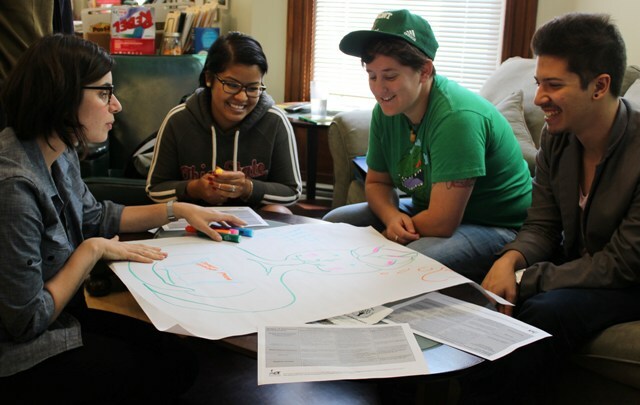 New in 2014, DIAL/SELF AmeriCorps partnered with Northfield Mount Hermon's Upward Bound program to create a 12-member intensive residential Summer Corps in support of Upward Bound's Summer Leadership Academy. Please contact us for more details. DIAL/SELF AmeriCorps serves the comunities of Western Massachusetts in partnership with the Mass Service Alliance and the Corporation for National and Community Service. Thank you! The Member Coordinator of the DIAL/SELF AmeriCorps Program is Allison Scott. Allison can be reached at 413-774-7054 ext. 101 or ascott@dialself.org.